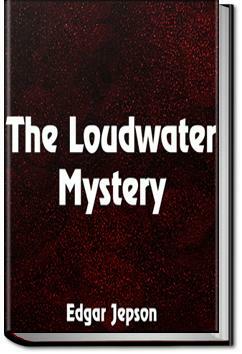 Lord Loudwater is found murdered in his house one evening. Unfortunately for Detective Flexen, who is to investigate the case, Lord Loudwater was not a very agreeable sort of fellow and almost every person in his vicinity had a motive for the crime. Was it his young wife or her lover, his former fiance or even one of the servants? . . .Not hurt you? Hey? I can't hurt the corespondent in a divorce case? Hey?" said Lord Loudwater rather breathlessly. "I tell you what it is: I've had enough of your manners," said Grey. give it you—with a horsewhip." This book was originally published in 1920. It is well-written and entertaining. Some of the word choice may be antiquated for today's reader, but I did not find that this was prevalent. Intriguing til the last word. Never a letdown the entire time . As good as any of Agatha Christie mysteries.